The University of Arkansas Hope-Texarkana has set a new record with their Fall enrollments. For the Fall semester, a total of 1,563 students are enrolled, that is an all-time high in the school’s 53-year history. 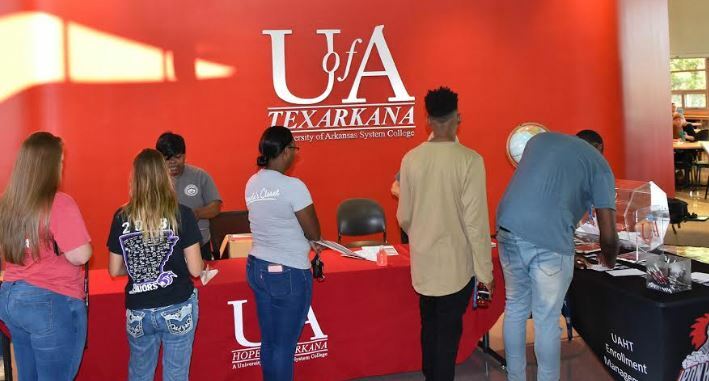 The University of Arkansas Hope-Texarkana (UAHT) welcomed the largest group of students since the founding of the institution to the Hope and Texarkana campuses this semester. An increase of 1.76% in headcount enrollment over last year brought a total of 1,563 students to UAHT this fall. This year’s increase in enrollment set the record for the highest enrollment in the 53-year history of the college. The previous record of 1,557 students was set in fall 2010. The college has experienced a steady rise in enrollment over the past five years with an increase of 15% from fall 2014. “A few factors that make this growth in enrollment extraordinary is that it has happened in an economy with a lower unemployment rate than in 2010 and at a time when the graduating classes at two of our largest service-area high schools saw unusually small graduating classes last year,” said Chancellor Chris Thomason. Added to this, the College is experiencing enrollment growth, while at the same time, graduating students in record numbers. The number of unduplicated graduates at UAHT has risen each year over the past five years. The number of graduates has increased by 69% from 2014. The total number of degrees and certificates awarded have also risen with a 52% increase from 2014. “UAHT’s record enrollment is celebrated by our campuses in Hope and Texarkana because it is the strongest indication that we are fulfilling our mission to the region that we are blessed to serve through education. Record enrollment coupled with our graduation successes will continue to drive opportunity for our students and a stronger economy for the Ark-La-Tex region,” said Thomason. For more information about how UAHT can help you build your bridge to a brighter future, call 870-777-5722 or visit uacch.edu.